There are many Crassula; the ubiquitous Jade Tree is only the beginning; Crassula species and varieties cover the complete size range from tiny ground covers to giant trees. Most of the Crassula we see outside of their natural habitat as succulent house plants are the smaller ground covers to shrub sized species. Crassula ovata or Crassula argentea, sometimes also called the Jade Tree, is the most commonly grown, and most people have had the green puffy leafed houseplant survive in stuffy dorm rooms, dark libraries or a back bedroom. With a will to survive like this it's no surprise that they are so popular. If grown well, this is a gorgeous plant, with elephant like trunks which can be trimmed to form one large stem, or multi stemmed like a forest. These plants love hard pruning and pinching of new growth, and can form a compact clump in only a few seasons, and will bloom with white to palest pink blooms in winter. They need to be root bound, and watered only in the summer for the best display. Legend has it that the flowers are scented, an extra bonus. 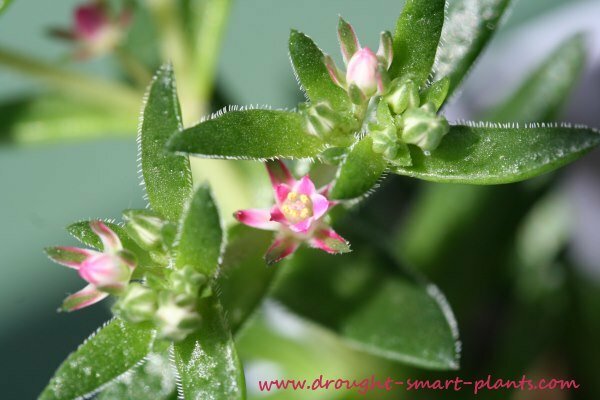 Some of the other not so common Crassula are Crassula perforata, Crassula rupestres and Crassula brevifolia. These are smaller, shrubby forming types, lovely all year, and once old enough will bloom with clouds of incredibly pretty white to pale pink tiny flowers. Another variety that is getting more well known, primarily for the name of Crassula 'Gollum' after the strange little marsh creature in Lord of the Rings, and also known as Goblin Fingers for the appearance of the spatulate leaves, looking very much like green fingers. 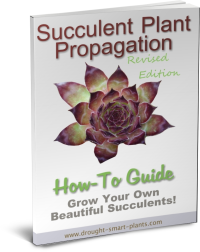 The growth is very dense, and makes a great companion to other succulents in a container or succulent planter. A larger type is Crassula ‘Blue Bird’ a cross between Crassula ovata and Crassula arborescens; according to some sources it’s listed as Crassula arborescens subsp. undulatifolia. This is a larger scale plant which is more shrublike, and lends itself well to indoor bonsai. 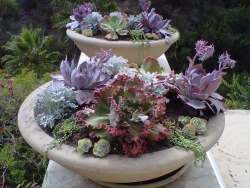 They are susceptible to only a few pests – overwatering can lead to root rot, as in all succulent plants, and mealy bugs can be hard to eradicate. Constant vigilance is essential if you have an infestation. If all else fails, take a leaf and propagate it, making sure to get rid of any hitch hikers. Throw the mature infested plant in the garbage right away to eliminate the problem and prevent spreading it around. Well drained soil, occasional deep watering and warmth are Crassulas main requirements. Bright light will deepen the colour of the leaves, and bring out any markings or colouration. Fertilize sparingly, maybe once a year in the spring. I recommend using a small amount of worm castings sprinkled on the surface of the soil or the occasional watering with compost tea. As per the title, really. Was given the plant today and was wanting to know what it was so I would then know how best to look after it. I think this plant is doing pretty well, but I am curious as to what it is and how I can better care for it. Thank you!! Plant grows to 15 inches, w/chubby, light green leaves. vigorous growth from rhizomes. Once a year, clusters of bright orange flowers appear. Succulent with thick leaves and a thick trunk. I got this succulent when a neighbor moved. It flowers frequently and propagates easily. I'll always be fascinated by making more of my favorite plants.